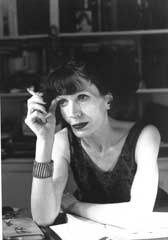 Zyranna Zateli (Greek: Ζυράννα Ζατέλη) is an acclaimed Greek novelist born in Thessaloniki in 1951. She attended a drama school from 1976-1979 and then worked as an actress and radio producer, before becoming a full-time writer. She won the National Book Prize for Literature in 1994 and 2002. Is this you? Let us know. If not, help out and invite Zyranna to Goodreads.